What about the Chinese consumer? 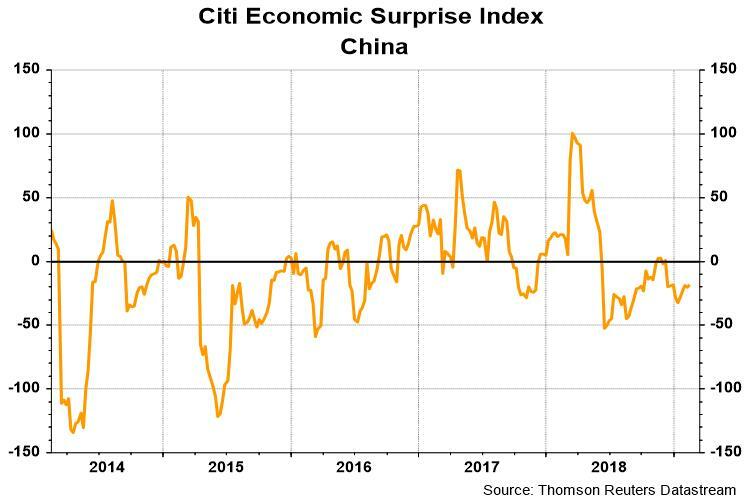 My pair trades of long new consumer China and short old finance and infrastructure China are signaling better times ahead for the Chinese household sector. There are also signs of stabilization on the infrastructure front. 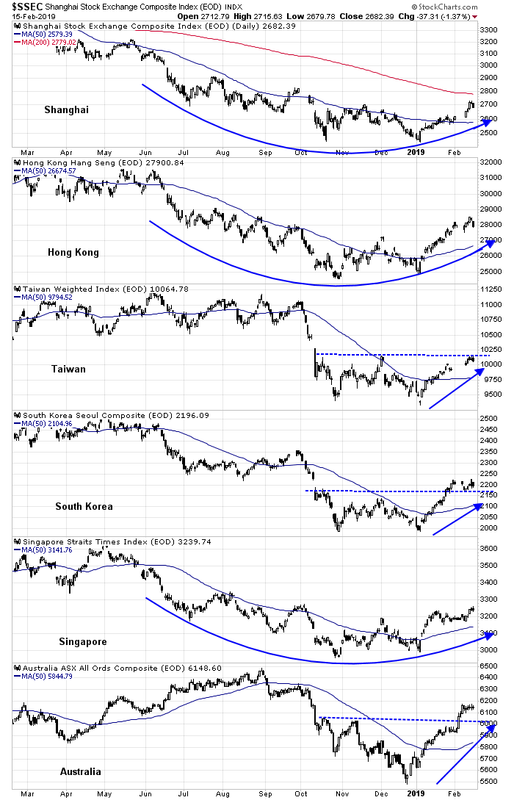 The relative performance of Chinese material stocks relative to global materials has broken up through a relative downtrend. Chinese materials are now range-bound against global materials, which is a signal of stabilization. 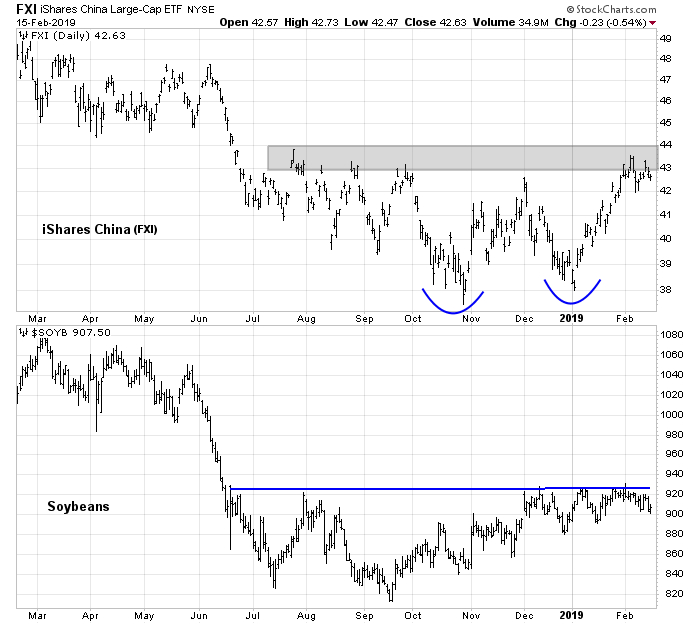 The real-time indicators of trade negotiations, namely iShares China (FXI) and soybean prices, are testing key resistance levels after undergoing a bottoming process. Should we see a positive resolution to the talks, a Potemkin trade deal, or even a delay of the tariffs that take a full-blown trade war off the table, expect upside breakouts on these instruments, and a trading opportunity for further profits ahead. Chinese weakness? That’s so 2018.